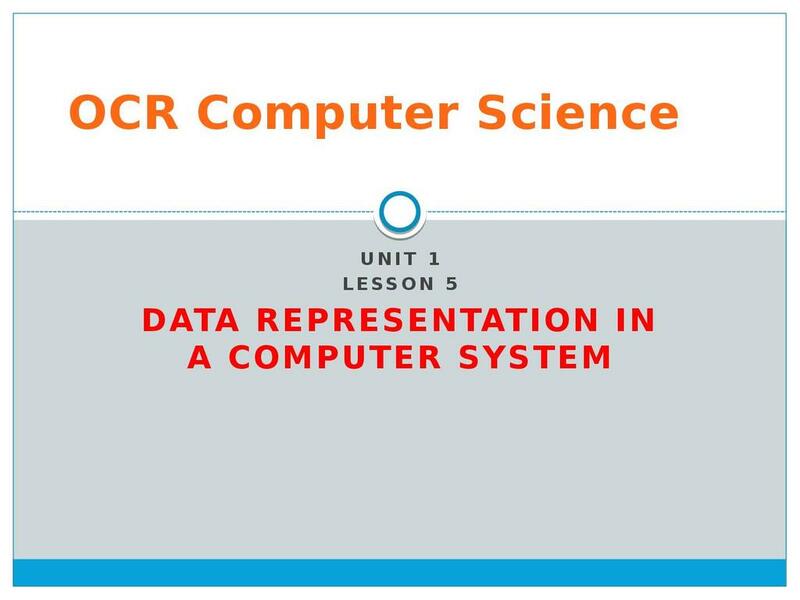 This lesson consists of a presentation on Data Representation, looking at how binary numbers work (and concludes with an exercise in converting binary numbers to denary). Students consider primitive monitors with q bit colour depth, represented characters and other data. before investigating how coloured images are stored, including a discussion of how colour depth affects the final output.